Curved and straight stair lifts are available for indoor or outdoor use to solve accessibility problems in an easy and affordable manner at Metro Atlanta and North Georgia area homes and commercial locations. 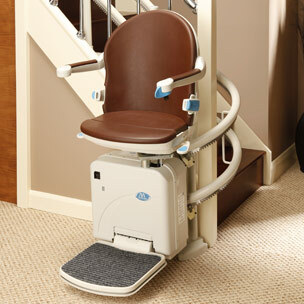 Atlanta Home Modifications offers a wide selection of stair lifts and other products designed for wheelchair users. One of the more common assistive devices available for use in locations where a ramp is not suitable are vertical and inclined platform wheelchair lifts. These lifts are designed to move users while they are seated in their wheelchairs. Platform wheelchair lifts may be open or enclosed. Vertical and inclined platform wheelchair lifts make it possible for a person to continue living a normal life in the comfort of home. For more information about straight, curved and vertical platform lifts, contact Atlanta Stair Lifts/Atlanta Home Modifications by telephone at 770-880-3405, or via our web contact form. 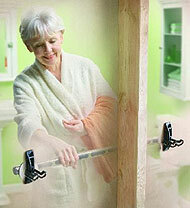 Who would’ve thought that practical, sturdy, safety grab bars might be attractive? And, while looking good, they’re tough, too! 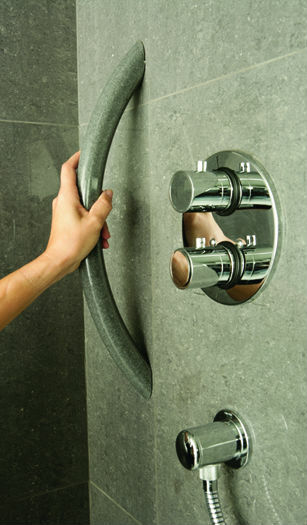 Find more information about attractive grab bars for your Atlanta home and grab bar installation techniques at the Atlanta Home Modifications website, and contact us through the on line contact form.